A FLIPL is a Financial Liability Investigation of Property Loss, as outlined in Army Regulation 735–5 on Property Accountability Policies. 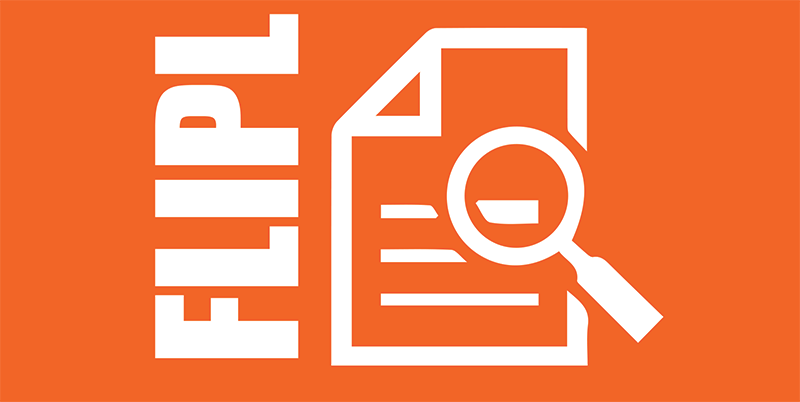 If government property is lost, damaged or destroyed (LDD), a FLIPL will take place to determine who is at fault for this loss. The purpose of a FLIPL is not punishment. However, if a Soldier is found to be at fault for this loss, he may face financial liability up to one month’s base pay (if Enlisted) or the full monetary loss (if Officer). In order to be found financially liable for LDD government property, the Soldier must have willfully or negligently caused a loss to the government. To be considered willful, the Soldier must have acted with specific intent to lose or damage the property. The Army has suffered actual monetary loss. If all four of these factors of negligence do not occur, a Soldier cannot be considered negligent as it pertains to the FLIPL. A FLIPL does not have to equal automatic financial liability. A Soldier has rights as it pertains to a FLIPL. For a FLIPL to result in financial liability, the above factors must be found to be true by the Investigating Officer (IO) appointed by the chain of command. If an IO finds a Soldier to be liable, a Soldier is entitled to rebut the FLIPL. The Soldier can reply to the FLIPL by explaining their side of the story – explain the situation and why you believe you should not be held financially liable for the loss. A Soldier who is hand delivered the FLIPL packet has 7 calendar days to reply to the FLIPL. A Soldier who is unavailable, but in the same country, has 15 calendar days from the date the FLIPL was mailed or e-mailed to the Soldier. Finally, a Soldier who is unavailable and in a different country from where the FLIPL takes place has 30 calendar days to reply to the FLIPL. The Soldier’s rebuttal is attached to the FLIPL and returned to the IO. The IO sends the FLIPL and rebuttal through the chain of command to the Approving Authority, normally the Soldier’s battalion commander. An attorney will review the FLIPL and the rebuttal to determine if the survey is legally sufficient. Only after all of these steps can the Soldier who rebuts the FLIPL be held financially liable. If a Soldier is found to be financially liable, the Soldier can be held liable for the entire monetary loss to the government. The amount is determined by the property’s current fair market value with depreciation. An Enlisted Soldier’s financial liability generally cannot exceed base pay of one month. Base pay amount is determined by the amount of the Soldier’s base pay at the time of the incident – not when liability is actually recommended. For commanding officers, the financial liability may be the entire value of the loss to the government – even if the value exceeds one month of base pay. For more information and an example rebuttal from which you can write your own, see 7th JMTC Legal Assistance Information on Financial Liability Investigation of Property Loss (FLIPL) located at www.eur.army.mil/jmtc/docs/SJA/FLIPL.pdf. If you are the subject of a FLIPL and need further assistance, request an appointment online at www.eur.army.mil/jmtc/SJA.html.